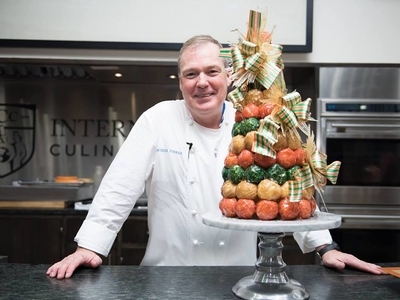 Join The International Culinary Center for an insightful demonstration with ICC’s Dean of Pastry Arts, and master chocolatier, Chef Jacques Torres as he demonstrates how to create a chocolate showpiece and bonbons. The youngest Meilleur Ouvrier de France (Best Pastry Chef of France) in history, Chef Torres spent 11 inspired years as executive pastry chef at Le Cirque before opening his renowned wholesale, retail and e-commerce chocolate company, Jacques Torres Chocolate. You may recognize Chef Torres as the Lead Judge of the new Netflix amateur baking competition, Nailed it!